The idea for AdvisorClarity was born when we noticed advisory firms weren’t getting the information needed to run their businesses frequently enough and they were unnecessarily spending resources to track internal metrics, monitor compliance, and audit the quality of their data. After consulting with noted industry leaders and trusted advisors, AdvisorClarity made its debut with selected firms in 2017.
Business leaders must know their business to be successful. AdvisorClarity gives leaders the metrics needed to run their business professionally and the insights needed to lead with confidence. AdvisorClarity includes data quality checks to ensure accuracy. No more wondering if your numbers are right. Instead, we tell you when something needs your attention. and you can quickly investigate issues. Regulatory and compliance requirements aren’t getting any easier. AdvisorClarity provides deep insights across all your firm’s systems. We proactively notify you when something isn’t right so that you can stay in front of potential issues. AdvisorClarity provides the toolkit for your firm to do more. Our proactive Pulse alerts eliminate the need to manually look for issues retroactively so you spend less time unwinding their fallout and spend more time on higher value activities. Nick is responsible for AdvisorClarity’s strategic direction, product development, sales, marketing, and day-to-day operations. Nick is a father of four, an entrepreneur, and an avid traveler who feels fortunate to have spent his career helping advisors help their clients. Nick discovered his passion for helping advisors while working at Charles Schwab Advisor Services, spending over a decade with the Technology and Business Operations group in both New York City and Dallas. He recognized Tamarac’s potential to become a market-leading platform and joined Tamarac to help them grow their client base. Shortly after they were acquired by Envestnet, Nick left Tamarac to spend a year traveling Southeast Asia with his family. At that time, his children were 5, 3, and 6 months. It was a life changing experience for the entire family. During their travels, Nick and his wife started their entrepreneurial journey with a family travel blog and expanded into other location-independent businesses. Upon their return to the United States, Nick began consulting directly with advisory firms. where the idea for AdvisorClarity was born. Nick is passionate about the independent advisor industry and is personally committed to the success of each of our clients. We only succeed if our our clients succeed. Prior to AdvisorClarity, Ido was an early employee at Sisense, assuming responsibilities ranging from implementation, project management, support, training & community development and management, providing Proof of Concepts, Professional Services implementation, advanced technical problem diagnosis & resolution, while fully collaborating with R&D, Product, Sales and Marketing teams. A native of Israel, Ido is a creative, outgoing and curious challenge seeker looking for more data puzzles to solve, while influencing product needs by investigation and personal & team management. Matt works primarily in the firm's day-to-day operations. Matt attended Arizona State University where he was a member of the Beta Gamma Sigma academic honor society and graduated with an undergraduate degree in data analytics and a master’s degree in business analytics. 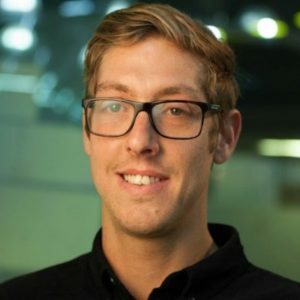 A self-motivated data enthusiast and global explorer, Matt has a passion for turning data into information. Driven by a continual thirst for knowledge, Matt enjoys using data science to find those eureka moments every business strives for. Transforming raw data into actionable insights motivates him on a daily basis. Matt lives in Phoenix with his wife and their dog Fargo. 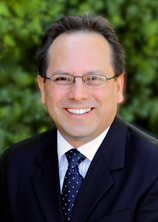 Art Tellez serves as Director of Operations working in the TCI Wealth Advisors office in Scottsdale. He holds a Bachelor of Arts in Economics degree from Stanford University. Art serves in the community as Board Member and Co-chair of the Stock Market Challenge Committee for Junior Achievement of Arizona and is a member of the Stanford Buck Club. Art is an avid Stanford fan and holds season tickets to Stanford football games. He enjoys time with his wife Paula, two kids and their four dogs. Art also spends time gardening. 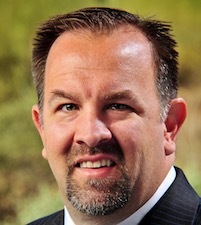 Dan Skiles is President of Shareholder Services Group. Dan is involved in all aspects of managing the firm. Specific areas of focus include technology, finance, operations and strategy. 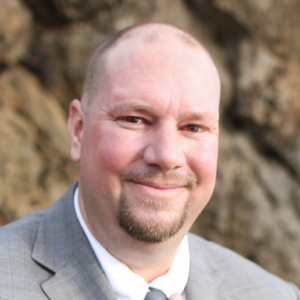 Prior to joining SSG, Dan served as Vice President of Advisor Technology Solutions at Charles Schwab & Co., Inc. He began his career at Jack White & Company in 1994. 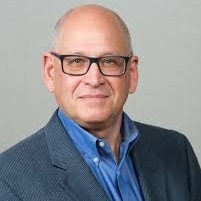 Joel P. Bruckenstein, CFP®, is an internationally recognized expert on applied technology for financial professionals and Publisher of Technology Tools for Today (T3) — formerly Virtual Office News, now dubbed the T3 Tech Hub. He is also the producer of the annual T3 Advisor Conference, the premier technology conference for independent financial advisors, as well as the T3 Enterprise Conference, an annual gathering of top executives from independent broker/dealers and large RIAs. Learn more about the conferences at www.TechnologyToolsForToday.com. Sign up for the T3 Newsletter at www.T3TechnologyHub.com. Marie Swift is President and CEO of Impact Communications, a full-service marketing communications firm serving a select group of independent financial advisors and allied institutions. Impact Communications works solely within the financial services industry. The firm has two service lines – one for highly-successful independent advisors and one for the institutions that support independent advisors. A thought leader for thought leaders, she is known for bringing some of the industry’s best and brightest voices together for dialog and debate. 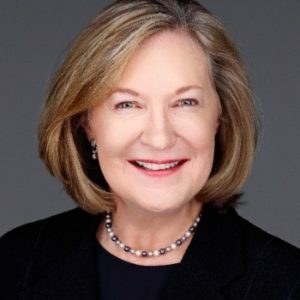 Her Thought Leader Roundtable series, which can be found at www.AdvisorsThinkTank.com, is just one example of how Marie generates interesting conversations with movers and shakers in the financial services industry. Her Best Practices in the Financial Services Industry blog, which can be found at www.MarieSwift.com, provides additional insights and advice, including podcasts, articles, videos and other helpful content for independent financial advisors and the institutions that serve them. Marie is known for bringing good ideas to financial advisors through her speeches, presentations, podcasts and written works. Over the past twenty years, Marie’s articles and expert comments have been published by Forbes.com, MarketWatch.com, Barron’s, Wall Street Journal, NAPFA Advisor magazine, MorningstarAdvisor.com, Horsesmouth.com, Financial Planning magazine, Financial Advisor magazine, On Wall Street magazine, Research magazine, RIABiz.com and ThinkAdvisor.com. PR, social media, digital presence, selling skills, and all forms of marketing and professional communications are her key areas of expertise. She has spoken at major industry conferences such as IAA, FPA and NAPFA events, and other national conferences hosted by allied institutions such as Fidelity IWS, TD Ameritrade Institutional, Schwab Advisor Services, Pershing Advisor Services, Transamerica Financial Services, Cetera Financial Network, Securities America, Investacorp, Garrett Planning Network, Kinder Institute, and many more. Prior to establishing her own marketing communications firm in 1993, she served as Director of Corporate Communications for Worldwide Investment Network in Irvine, California, where she helped FNIC’s then #1 Top Producer attain and maintain that title for five consecutive years. She managed a staff of twenty that supported two-dozen successful registered representatives, estate planners and wealth managers. A former caterer and gourmet cook, Marie studied the culinary arts while living in Colorado. She enjoys fine dining and rustic meals, family outings, traveling to new places, and long walks with her husband and kids in beautiful Leawood, Kansas. Ryan is the Co-founder & CEO of FA Match, a digital career management platform for Financial Advisors. 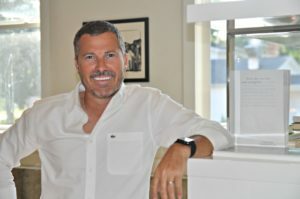 He is also the Founder & CEO of Finetooth Consulting, which he formed after he recognized a need for advisors to have someone represent their interests in the market, much like the representation of an athlete by a sports agent. He has spent the past 19 years consulting with Financial Advisors, Registered Investment Advisors and Broker-Dealers. Before Finetooth, he was VP of Business Development for Associated Securities Corp., an independent Broker-Dealer located in Los Angeles, CA. At Associated, he was responsible for national recruiting and branch office development. As a member of the executive team, Ryan helped launch the merger and acquisition initiative, which allowed the firms advisors to purchase other books of business. Prior to Associated, Ryan was Director of Recruiting for First Financial Planners, an independent Broker-Dealer located in Chesterfield, MO. 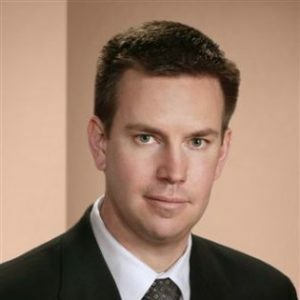 During his tenure, Ryan has worked hard to earn a reputation in the industry for his ethical approach to the business as well as his unique ability to provide win-win solutions for all parties. Ryan and his wife Lauren live in Longmeadow, MA, where Lauren grew up as a child. They are proud parents of two sons and a daughter. 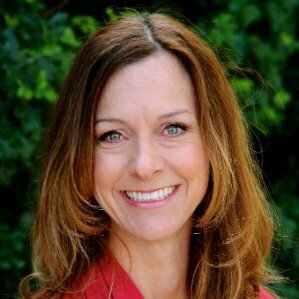 Trisa Summers, CFP® is the retired CEO and shareholder at TCI Wealth Advisors. Trisa graduated from CSU-Sacramento with a degree in Elementary Education. She joined AQN Advisors in 1999, which later merged with TCI, after her family had been a client of the firm for many years. Trisa formerly served as Chief Compliance Officer and Office Manager for AQN Advisors prior to the merger. After being named President of the firm, Trisa lead strategic planning, operations and technology while continuing to work as an advisor with a select group of clients. Trisa, her husband Brad, and their two daughters were longtime residents of the Reno/Tahoe area before moving to Scottsdale, AZ in 2008. She is actively involved with community youth sports as well as a strong supporter of her daughters’ various philanthropic and social activities. Trisa is a member of Women of Scottsdale, National Associated of Women Business Owners, and remains a loyal University of Southern California supporter. She and her family enjoy the outdoors; playing golf, swimming and riding bikes are some of their favorite activities. Trisa is avid about exercise and has recently begun teaching spin classes as a way to share her love of fitness with others. Based in Poland, QBeeQ provides AdvisorClarity with world-class product development support. The AdvisorClarity platform runs on Google’s world-class infrastructure, leveraging the Google security model, an end-to-end process, built on over 15 years of experience focused on keeping customers safe on Google applications like Gmail, Search and other Apps. If you’re passionate about helping advisors grow, compete, and succeed (or know someone who is), let’s talk. We are currently interviewing for operations and development positions. Please send resumes to Hello@AdvisorClarity.com.